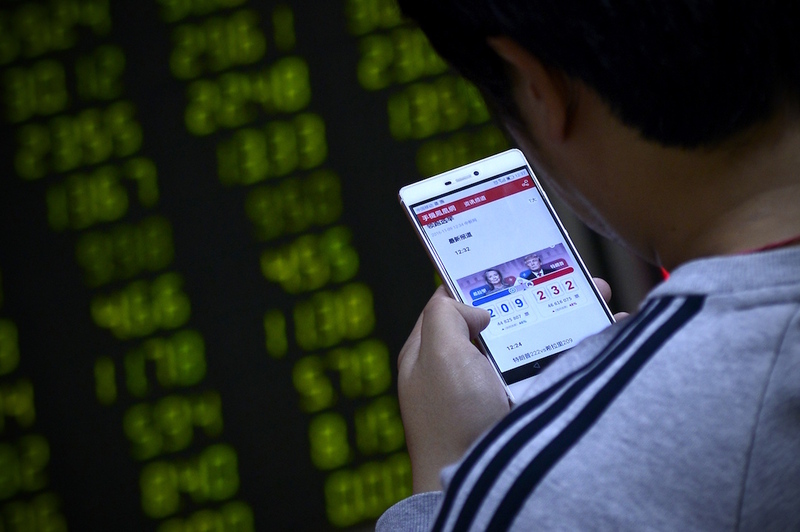 An investor looks at his smartphone showing results from the U.S. presidential election, at a securities company in Beijing, November 9, 2016. When Donald Trump was elected president, the hashtag #TrumpWon was trending on Chinese social media. Chinese Internet users speculated about what Trump’s victory might mean for Sino-American relations, discussed the broader global implications of a President Trump, and dissected the impact of the win on the U.S. political system. What follows is a selection of reactions by Chinese netizens, writing on the massive social media platform Weibo on the morning of November 9, followed by quotes collected in telephone interviews with Chinese living in the United States. The question is, can [Trump] replicate the legend of Reagan? The Reagan era’s achievements, to a large extent, were thanks to James Baker’s and Donald Regan’s plentiful experience, and the ability of the “organization branch” made up of White House aides and staff to create a de facto “American Premiership.” In Trump’s current team, people cannot see similar indications. No one knows who Trump trusts, and the aides and staff he will choose to make up his cabinet are like Godzilla obscured by thick fog. Hillary didn’t lose; the Democratic Party lost! From now on, the Americans will compete with us mostly on trade, and won’t interfere with our power—it’s a slap in the face for their little Asian friends. Little Japan, if you don’t behave yourself, we will liberate you from capitalism and let you become socialist. I feel that once Trump becomes president it will be like the butterfly starting to flap its wings, setting up upheaval for global economics and politics. The American stocks have plummeted, and it’s no wonder Bank of China sent out a statement in advance saying that in the period around the American election, gold prices will be adjusting; over these few days, the whole globe’s investment markets will feel like a rollercoaster. I heard America is only a democracy on the surface; in practice only rich people can talk about democracy. The government goes with what the big capitalists say. The reason they like to start wars is because going to war makes them money, a lot of money. Capitalism will always be shaky, but whether socialism will take over is hard to say. In short, the problems of capitalist society are expanding, and it’s not all because of the ruling party, it’s more because of the problems of the social system. This is just one person’s opinion; don’t get all worked up. The U.S. drama is over, and now I am only paying attention to Korean dramas.